Welcome to the Simac clothing order page. At present, you can choose from a smart white shirt (men’s) and a grey polo shirt (ladies’ and men’s). You place your order by completing the fields below. You can order one shirt and one polo shirt for free. If you want more copies than you pay for extra blouses € 22.50 and for extra polo shirts € 12.50. Orders can be placed until Friday 22 March. 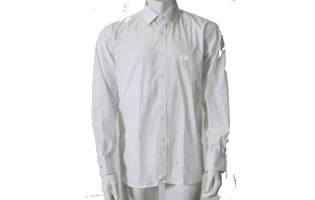 The shirt is available in white with the Simac logo in ton-sur-ton (the same colour as the background) on the chest and cuffs. This shirt is available for men only. 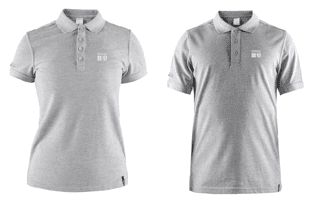 The grey polo short bears a Simac logo in ton-sur-ton (the same colour as the background) on the chest and sleeves. You can choose from a ladies’ and a men’s model. You have until Friday 22 March to submit your order. All shirts and polo shirts will be ordered from the supplier immediately after that date. The expected delivery time is at least six (6) weeks. We will notify you as soon as all shirts and polo shirts have arrived. We have paid specific attention to the quality when we selected the models. If you are still unhappy with the quality of your order, you can, of course, claim a new shirt or polo shirt. However, you are personally responsible for ordering the correct size. It is, therefore, not possible to exchange a shirt or polo shirt.